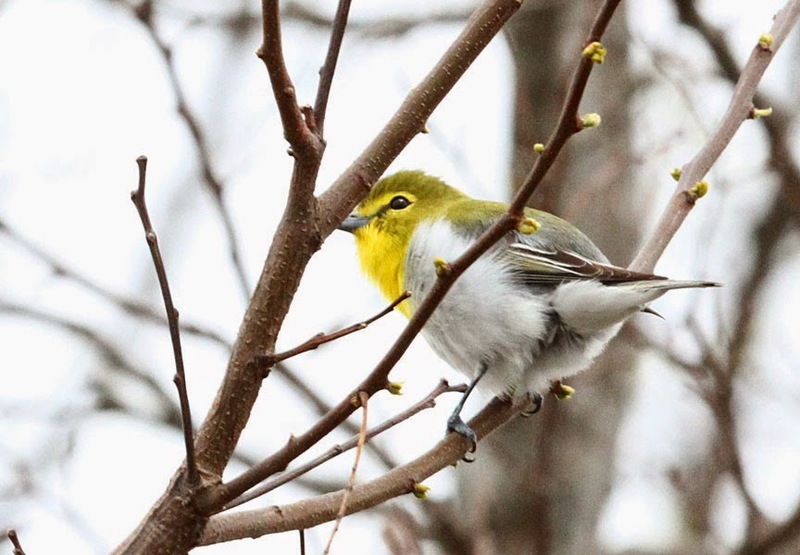 Finally spring has arrived, the weather's been warmer and the birds are returning to Herrick's Cove in Bellows Falls!. 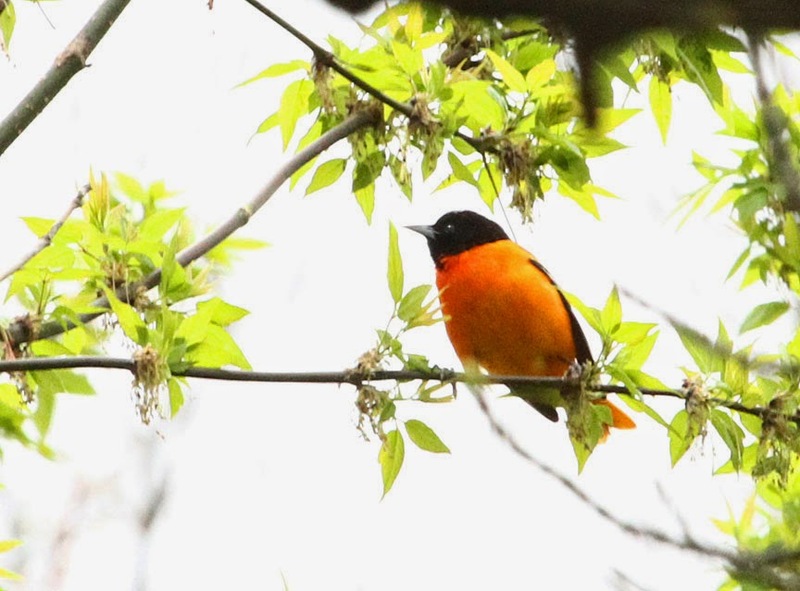 It's nice to see the bright colors of the Baltimore orioles! 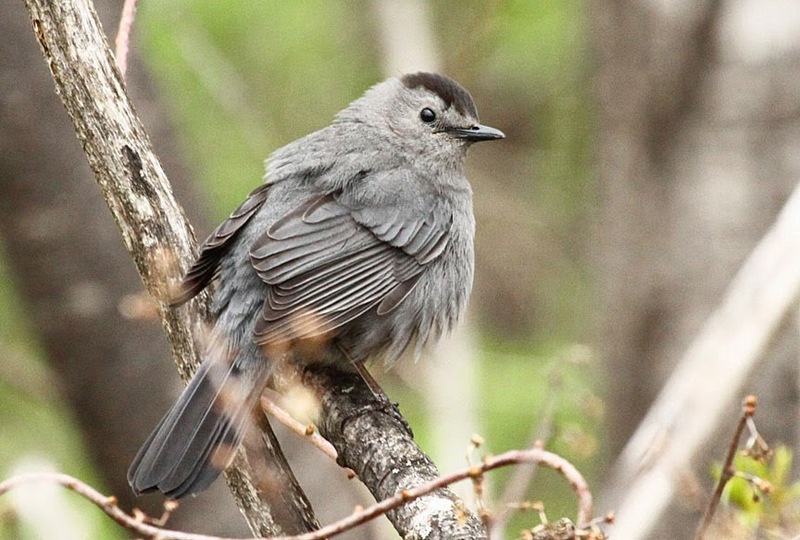 Gray catbirds are now everywhere and chatting up a storm! 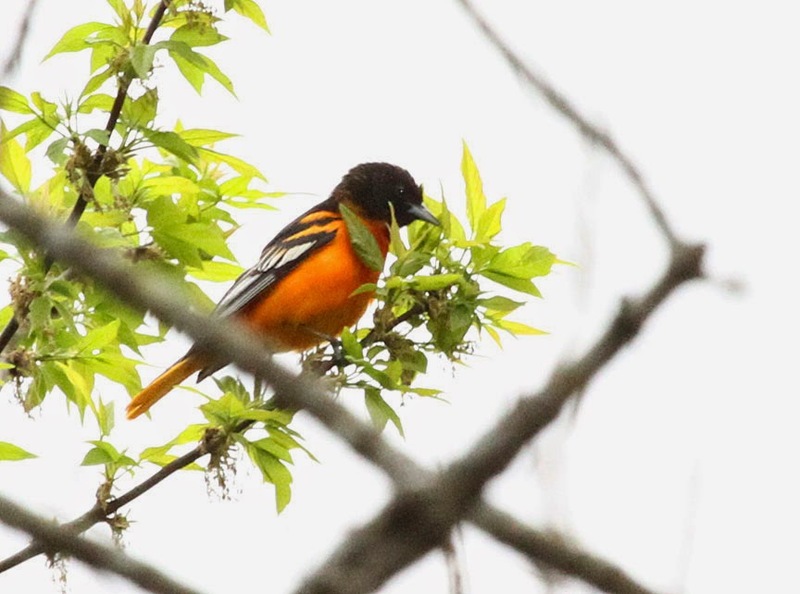 Here's a good look at his rusty red undertail coverts. 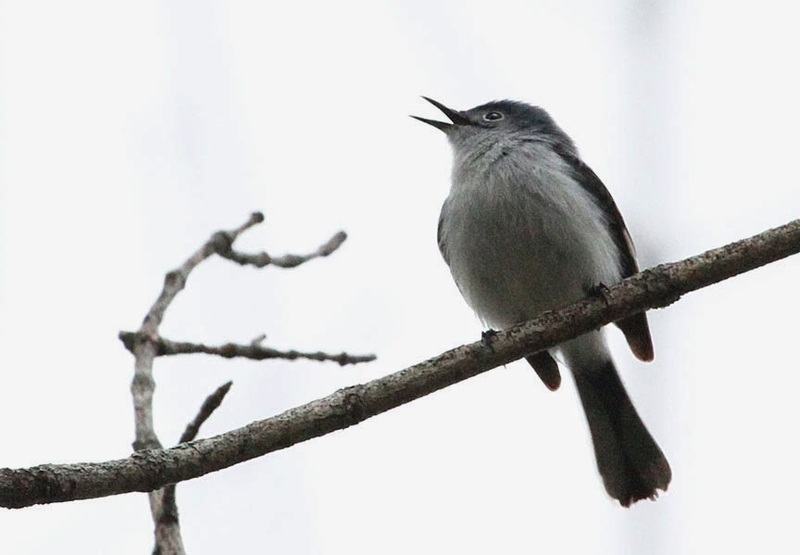 Blue-gray gnatcatchers are very small birds with long tails which they flick from side to side. They are always in constant motion. 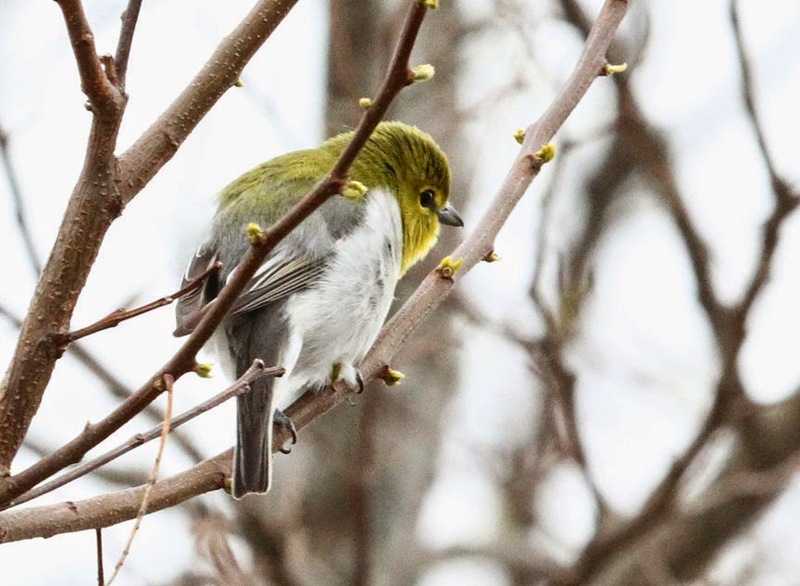 The best bird of the day was a pair of yellow-throated vireos. 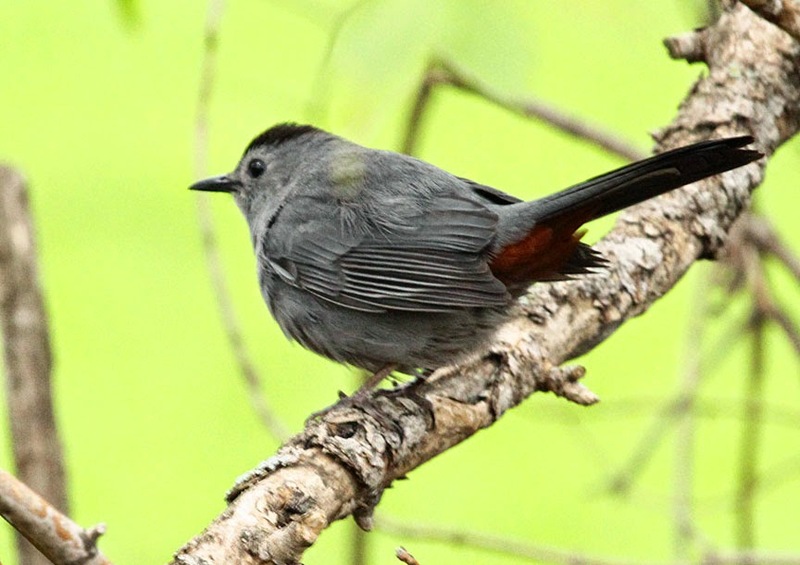 They were so close to us, Gerry had a hard time getting a picture in focus with his zoom lens! 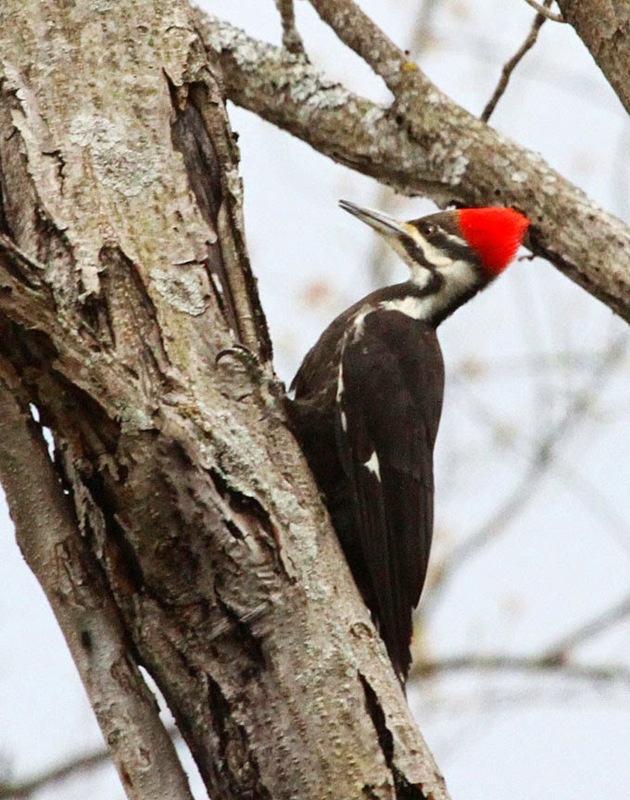 Another bird Gerry has been after for a good picture, this female pileated woodpecker was very cooperative today! 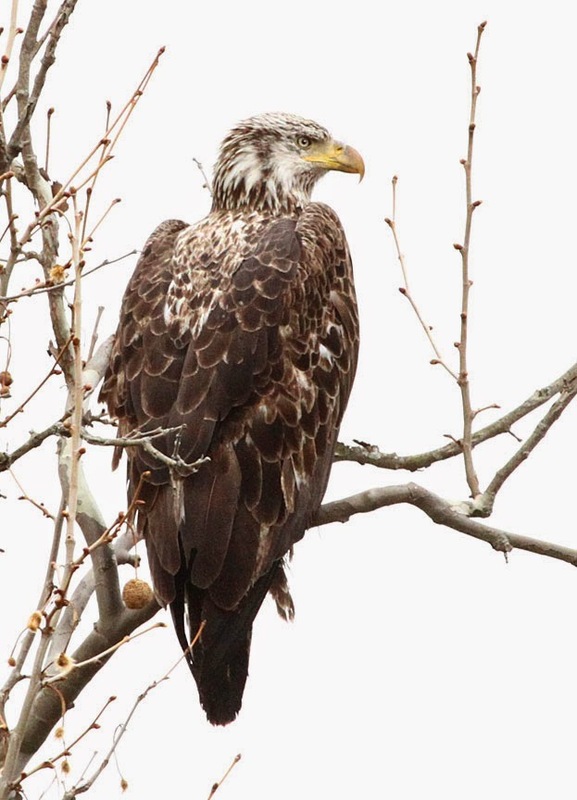 An immature bald eagle was keeping watch along the Williams River. One can never see enough of these majestic birds!